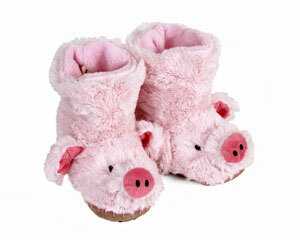 What’s black and white and pink all over? 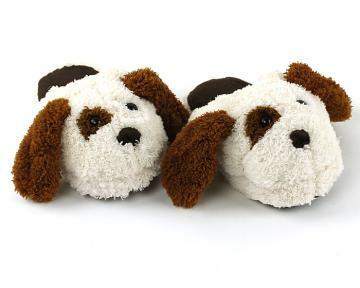 These udderly adorable Kids Cow Slippers! 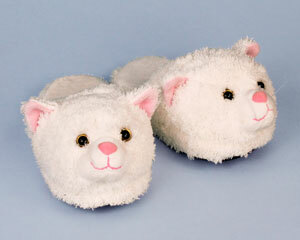 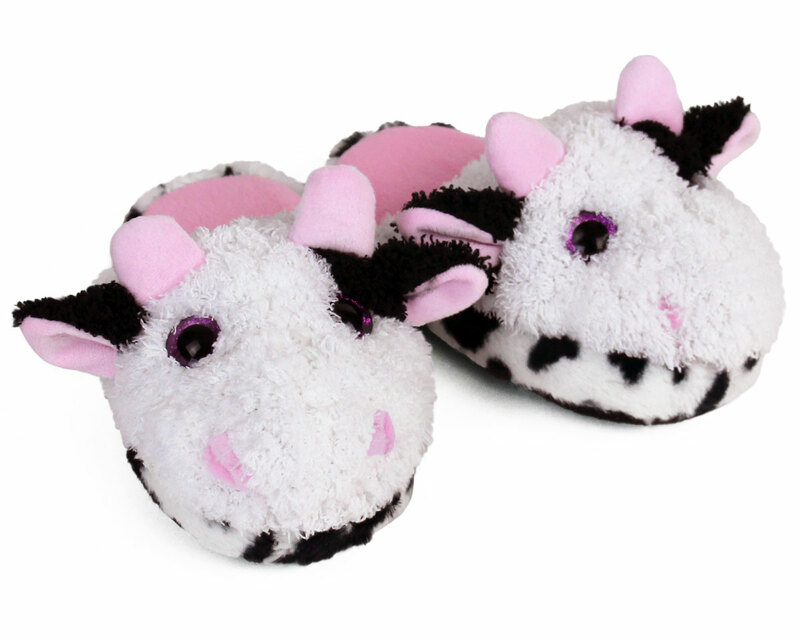 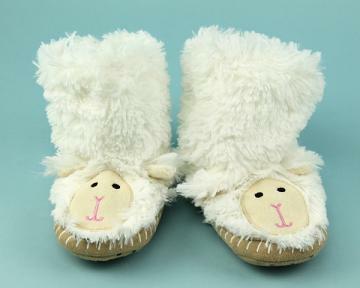 Now your little one can moooooove around the house in style with these soft and cozy slippers. 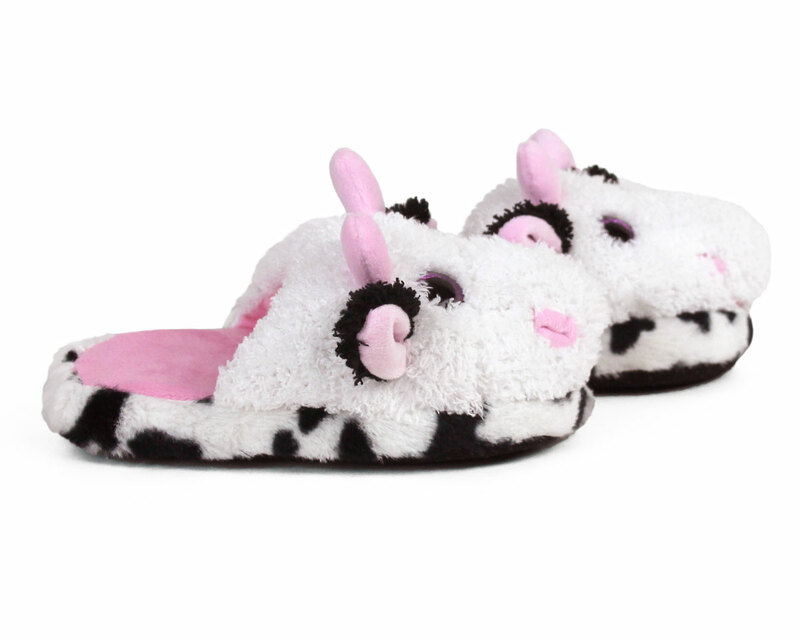 Made with classic Holstein black and white faux fur, pink detailing, and sparkly pink eyes. 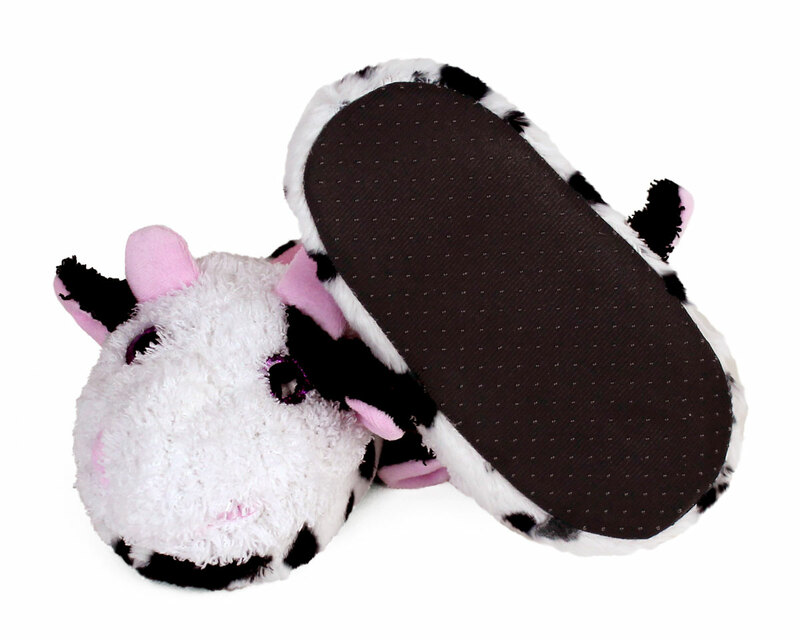 Soft foam footbeds and non-slip grips on soles keep little hooves extra comfy while trotting around the pasture.